The accomplished Gremlin Theatre will close its doors with a revival of one of the great plays of the 1960s and ’70s era, and perhaps American theater’s consummate work about female-on-female emotional violence. Paul Zindel’s Pulitzer Prize-winner probes the psychosis of a mother who cannot bide her precocious daughter’s brilliance. Jodi Kellogg, a Lavender Magazine Best Actress, plays Beatrice, the mother. It’s one of contemporary drama’s most abusive characters and Kellogg is always a powerhouse so prepare for fireworks. This display of GLBT artifacts and archival materials are from Ramsey County Historical Society’s Leo Treadway Collection runs during the current Pride season, with another exhibit running in August. Twin Cities Pride celebrations since the 1970s are reflected on with photographs, buttons, clothing, and directories. Treadway, who has also loaned the exhibit some of his own items, shares “it is my hope that not only will GLBT individuals and allies be intrigued by some of the items in these exhibits, but that they will understand the importance of contributing to the archiving of current history. Too often we seem to believe that only items of extraordinary impact or value are worthy of contributing to one of our local collections. The truth is that it is the daily bits and pieces of our individual and organizational lives which really help to document our community and its rich history.” Treadway hopes those who see the exhibits will consider what they themselves might contribute to further document our community history in local collections. War Horse. Photo by Brinkhoff/Mögenburg. War Horse bucks Broadway trends of recent years. Musicals have ruled supreme and the straight plays have tended toward realism. However, Nick Stafford’s dramatization of Michael Morpugo’s beloved novel for youth hails from Great Britain’s National Theatre by way of Capetown, South Africa’s Handspring Puppet Company. 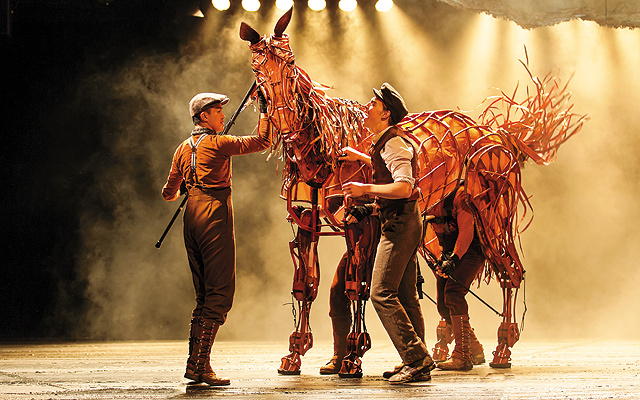 Before War Horse won five 2011 Tony Awards including Best Play on Broadway, it was London’s hottest ticket and most acclaimed show. The tour now plays the Orpheum, a Hennepin Theatre Trust offering. As we approach the 100th anniversary of World War I, War Horse is an ideal choice to commemorate and reflect. It focuses not on the people killed in ‘The Great War’ aka ‘The War to End All Wars,’ but on the horses who met their tragic ends. Boldly unlike most West End, and even more so, Broadway fare, War Horse is drama highly stylized. Protagonist Joey, a horse, is actually a hand-made puppet figure manipulated, navigated, and interpreted by three puppeteers. The nation’s flagship regional theater has turned 50 and lots of luminaries will be here to celebrate. They include: Whoopi Goldberg; Olivier-winner Tracie Bennett who played Judy Garland at the Guthrie; Guthrie veteran T.R. Knight whose gayness was homophobically slurred by his Grey’s Anatomy co-star Isaiah Washington, and others. Jason Robert Brown (Songs for a New World, Parade) has composed a new work specifically for the anniversary based on content from Shakespeare’s Hamlet. Cantus vocal ensemble will perform. 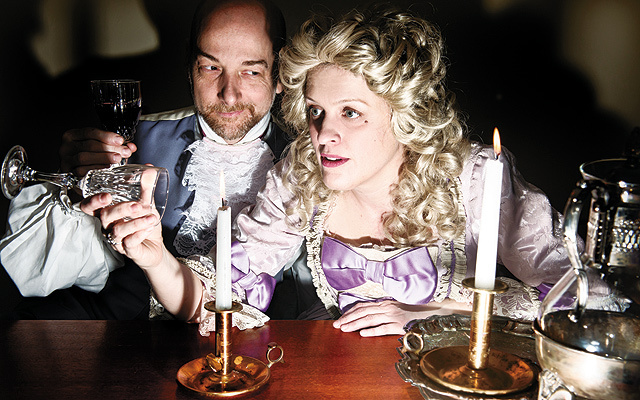 Guthrie legends Sally Wingert (Third) and Greta Oglesby (Caroline, or Change) will host a variety evening dubbed Behold: A Gala Performance on June 22.